It seems you can't turn on a cable TV channel targeting an older demographic without seeing a barrage of commercials for reverse mortgages. These loan programs, which were developed by the U.S. government, appear attractive to seniors because it allows them to tap their home's equity, without monthly payments, and still live in the home. A lot of financial advisors have been leery of these loans, and it's been hard to get objective information about them because the information always seems to come from a company trying to sell them. But business professor Stephanie Yates, at the University of Alabama Birmingham (UAB), says lenders are more tightly regulated than in the past, and that there may be times a reverse mortgage could be beneficial. Yates says the occasions in which reverse mortgages make sense are precisely the ones the loan program was designed to address. In most cases, it will be when a retiree owns the house without a mortgage. Being able to tap the equity in the form of a monthly check might be beneficial. By the same token, if the house is largely paid for, a reverse mortgage might not produce income, but it could pay off the existing mortgage and eliminate those monthly mortgage payments. 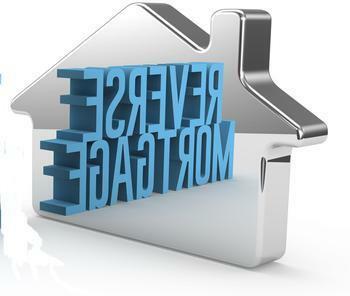 But here's something to consider: a reverse mortgage means the borrowers are committing to live in the house until they die or leave for a nursing home. When either happens, the lender takes possession of the property to repay the loan. That precludes selling the home to pay for long-term care, or leaving it to heirs. Yates also says there are clearly cases where a reverse mortgage is not the best option. Homeowners who get a reverse mortgage must continue to pay the cost of maintaining the property as long as they live there. If the house needs a new roof, you have to pay for it. If the air conditioner needs to be replaced, you're on the hook for it, just as you would be if you had a regular mortgage. Yates says these loans also carry higher than average closing costs, determined by the value of the property. Here's another option: if you want to age in place, meaning at home, consider selling your home and renting an apartment. Take the proceeds from the home sale and invest it in a diversified portfolio that produces some income. It preserves something for your heirs and makes your estate a lot less complicated. Learn more in the ConsumerAffairs Reverse Mortgage Buyers Guide.